Pre-Parade Party & Picnic: The fun begins on July 3rd from 5:30pm-10:30pm in Memorial Park. Grab a drink at the Friends of Sierra Madre Little League beer garden, dance to music from the band Groovy Lemon Pie and let your kids have fun with confetti eggs, bubble wrap fireworks, and a fun zone! 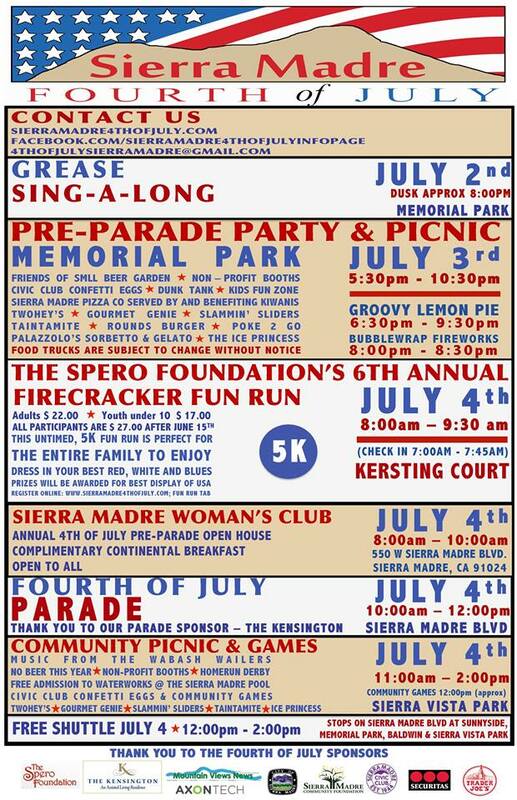 Sierra Madre Fourth of July Firecracker Fun Run:Registration is still available for the Firecracker Fun Run sponsored by the Spero Foundation. The run is Saturday, July 4th at 8:00am. Entry fees are $26 for all ages. To register online, please visit our website. For more detailed event information click here. Sierra Madre Woman’s Club Pre-Parade Open House:Complimentary Continental Breakfast, open to all 8am to 10am, 550 W. Sierra Madre Blvd. 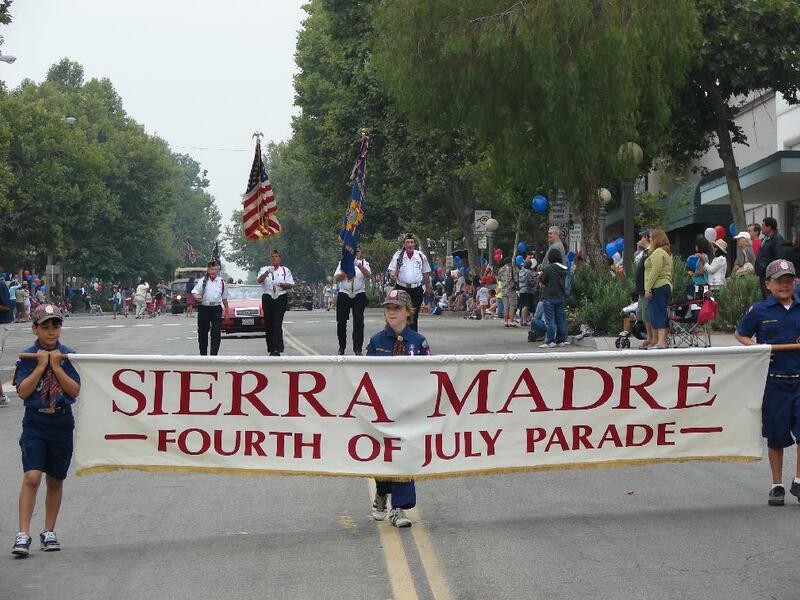 Fourth of July Parade: Don’t miss out on the biggest event in town, where the whole City is either in the parade or watching it! The action starts at 10:00am with the parade beginning on Sierra Madre Blvd. and Sunnyside. The parade route continues along Sierra Madre Blvd. until the conclusion at Sierra Vista Park. The Fourth of July Committee would like to thank the Kensington for being the 2015 Parade Sponsor! 1 Comment on "4th of July"